For the 24 hours to 23:00 GMT, the EUR slightly declined against the USD and closed at 1.1303. In the US data showed that the US NY Empire State manufacturing index climbed to a level of 10.1 in April, surpassing market consensus for a gain to a level of 8.0. The index had registered a reading of 3.7 in the prior month. In the Asian session, at GMT0300, the pair is trading at 1.1299, with the EUR trading a tad lower against the USD from yesterday’s close. 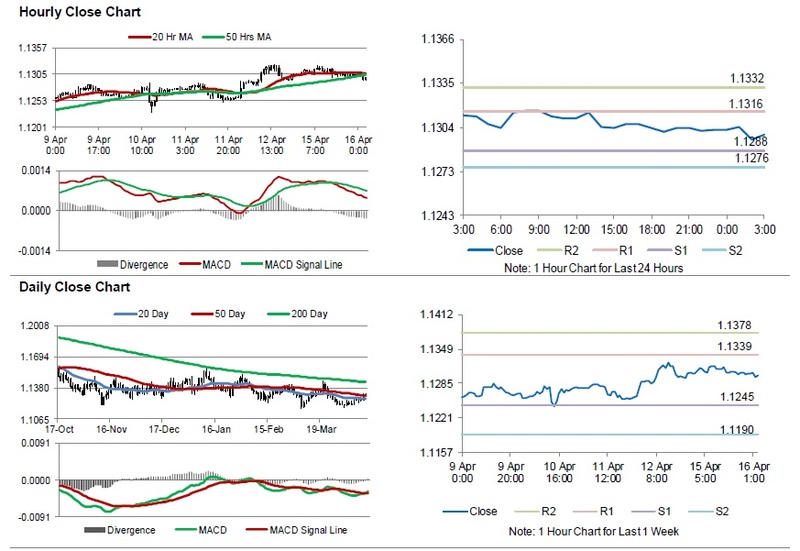 The pair is expected to find support at 1.1288, and a fall through could take it to the next support level of 1.1276. 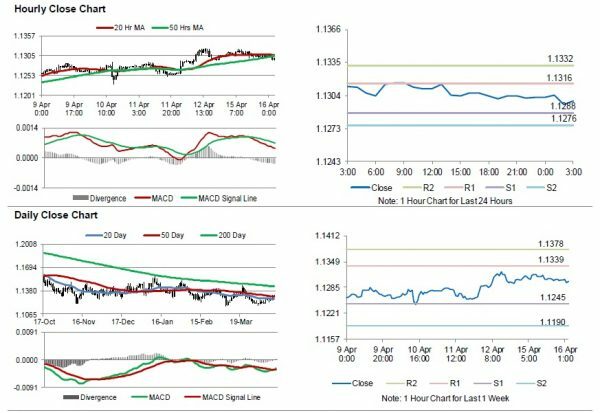 The pair is expected to find its first resistance at 1.1316, and a rise through could take it to the next resistance level of 1.1332. Going forward, traders would keep an eye on the Euro-zone’s ZEW survey economic sentiment index for April and construction output for February along with Germany’s ZEW survey indices for April, slated to release in a few hours. Later in the day, the US industrial production and manufacturing production, both for March followed by the NAHB housing market index for April, will garner significant amount of investor’s attention.